The Congo River was always an important point of slave embarkation. In the nineteenth century, however, its importance as a source of slaves further increased as the legislation to suppress the traffic initially focused on the North Atlantic. 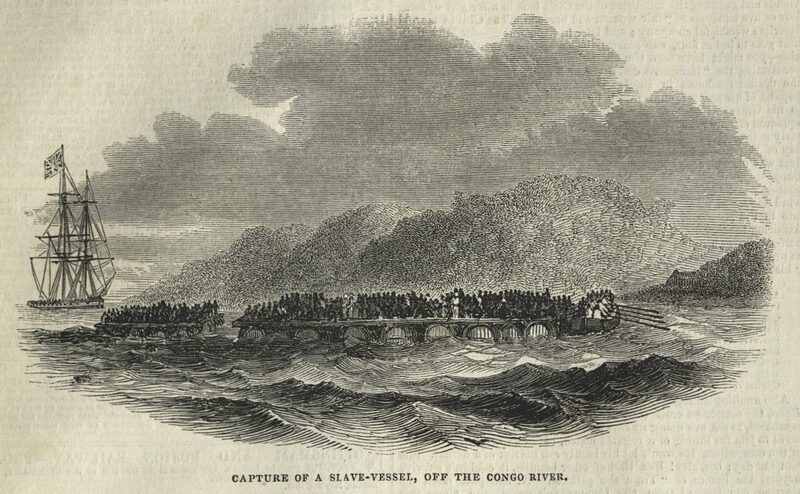 The following image shows a British man of war preparing to rescue Africans who were previously on board a slave ship off the Congo River. The Illustrated London News, 10 May 1845. Courtesy of University of Missouri Libraries.